In winter, 9,000 litres of soup are prepared from slightly spoiled vegetables, for those in difficulty staying in shelters or seeking refuge with charities. 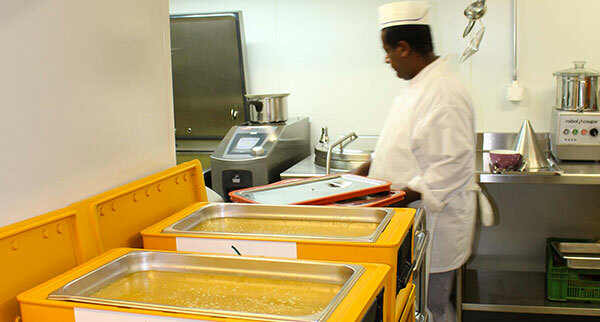 In collaboration with the kitchens of the Hôpitaux Universitaires de Genève (HUG), Partage collects unconsumed frozen and ready-made meals. Partage is participating in a test project for an exchange platform for food products between the Swiss food banks Table Suisse, Table du Rhône, Table Couvre-Toi and some food wholesalers. The objective is to pool resources in order to reduce food waste. Partage grinds the coffee beans received from its partners and packages it into a 500g packet so as to optimize its personalised distribution.